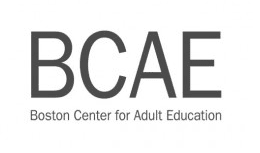 The Boston Center for Adult Education (BCAE) is teaming up with Whole Foods this summer for mini-classes celebrating good food. These pop-up classes are informal and free to attend. This is a great opportunity to expand your food knowledge in a fun and free way this summer! For more information about the BCAE head here or head here for more information about Whole Foods! If you can’t make these free classes or you live close to these Whole Foods locations, make sure to check out your local store’s event calendar as there’s usually fun and free events at Whole Foods!